Thank you Sold out ! New version soon ! 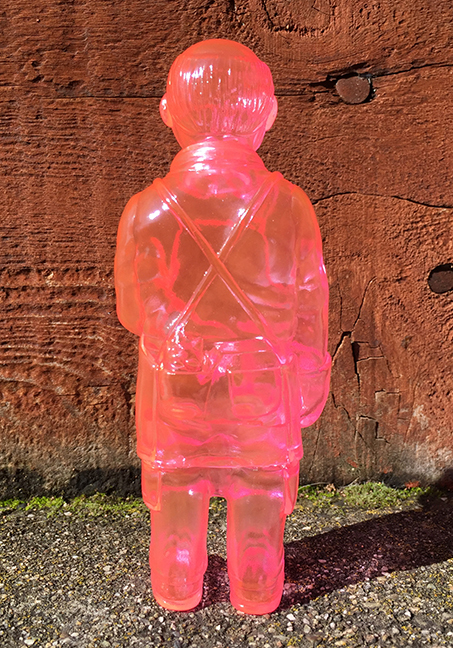 This third version is cast in Clear pink soft vinyl (sofubi), and he stands about 6 inches tall, with articulation at the neck. He's holding an iron mold, which is used to cast the figures. 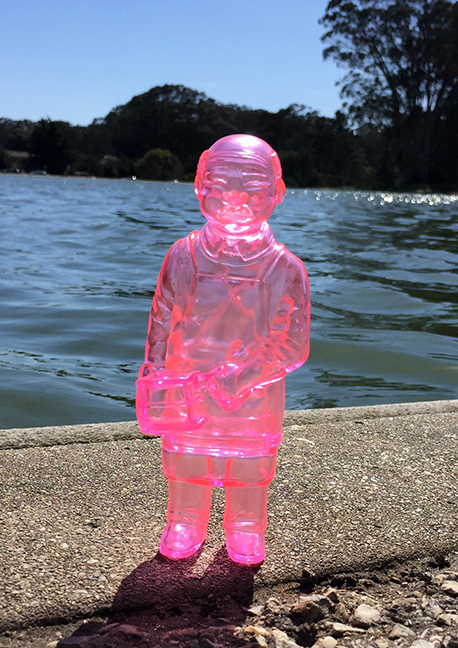 Sofubi-man, is my homage to the men and women who cast soft vinyl in Japan. 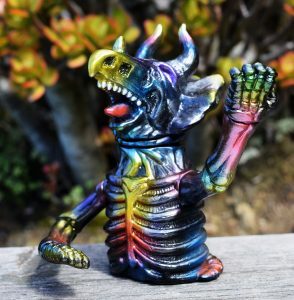 As many of you may (or not) know, I've had a life long love affair with soft vinyl kaiju since 1973. 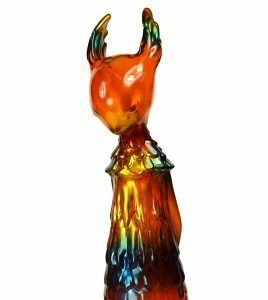 But, it wasn't till much later that I found out more about the actual process of making and casting these types of toys. 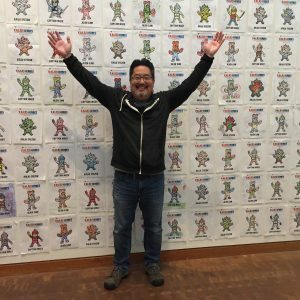 The last few years I've had a goal to make a Sofubi-man out of Sofubi ! 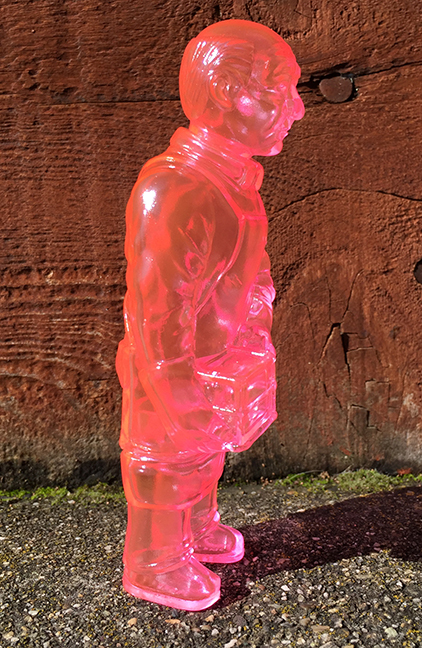 Sofubi-man is magically sculpted by Cristina Ravenna, with Max Toy coordination by Yo Miyamoto and of course expertly cast in Tokyo by real Sofubi-men ;-) This version is limited and will not be offered again in this unpainted form.